GETLINK (the new corporate name for Eurotunnel ) revealed in July it had undertaken studies looking at ‘low-cost’ ‘international rail routes through the Channel Tunnel. The work was carried out by consulting firm Roland Berger, with some British newspapers reporting such services might begin ‘soon’. The consultants report suggests international operators could use the French low-cost TGV model ‘OuiGo’, which offers no on-board catering and uses stations that are less busy (in the case of London to Paris, Stratford International/Ebbsfleet and Paris Charles de Gaulle airport); a three-hour Stratford to Paris CDG timing is suggested. 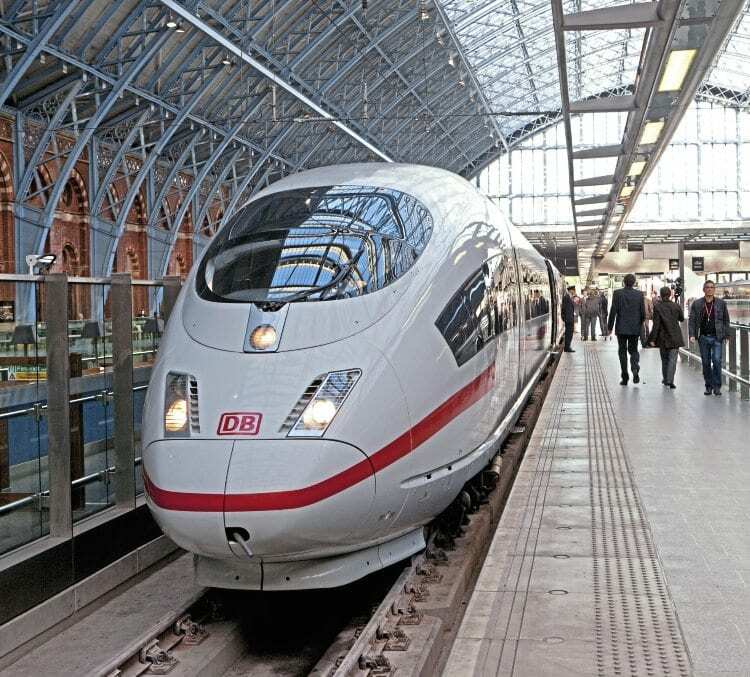 IN MID-June it emerged German rail operator Deutsche Bahn had finally ‘given up’ on the idea of ICE services from London to Germany via Brussels. DB told The Railway Magazine: “ICE direct services to London will not be on the agenda in the foreseeable future,” adding technical and economic reasons were to blame for the decision. This specifically relates to the fact the ICE3 Class 407 train is not yet approved for use in Belgium, with DB adding the economic environment has changed significantly since they originally proposed through services back in 2010.